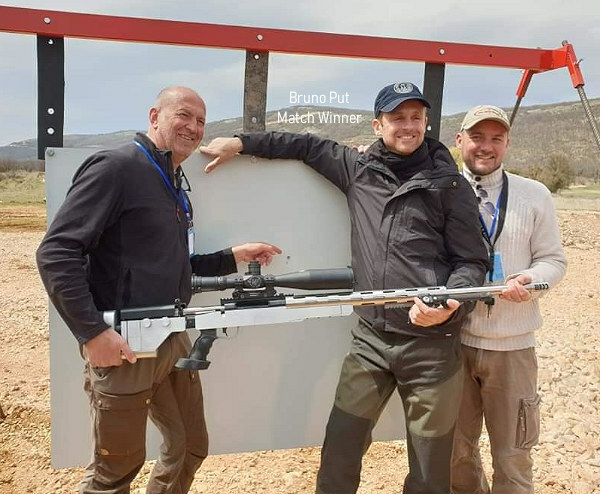 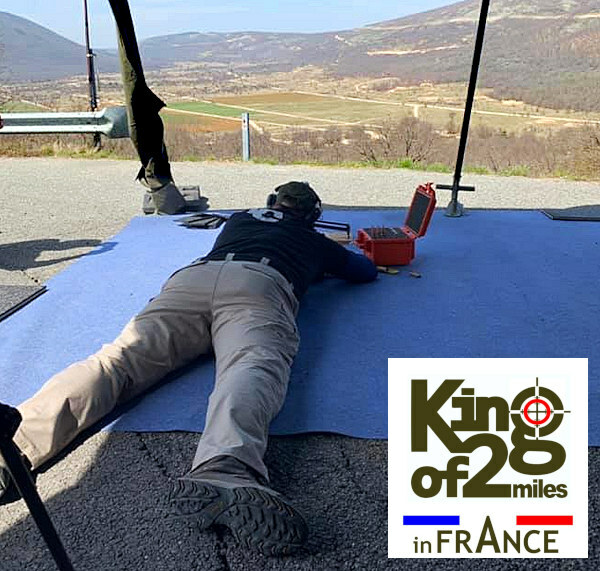 The King of 2 Miles event, and other Extreme Long Range (ELR) competitions, have spurred great interest in ultra-long-range shooting. 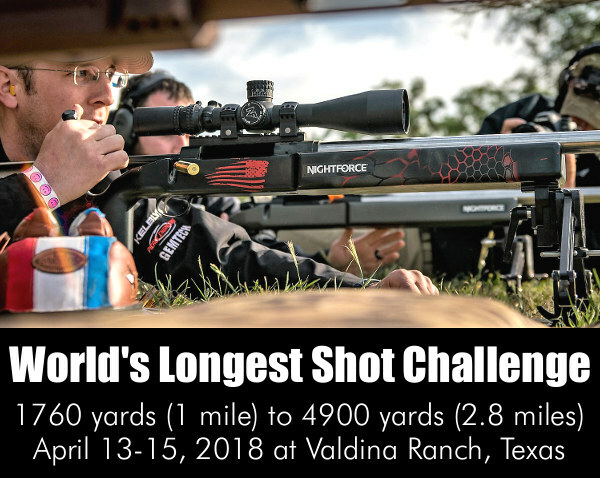 The challenge of making the “longest shot ever” can be compelling. 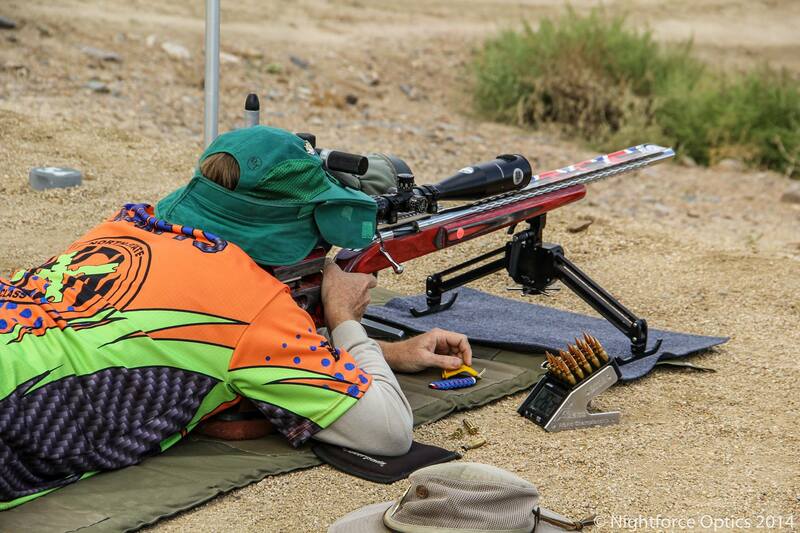 Some shooters have recently claimed World Records for mind-blowingly extreme distances. 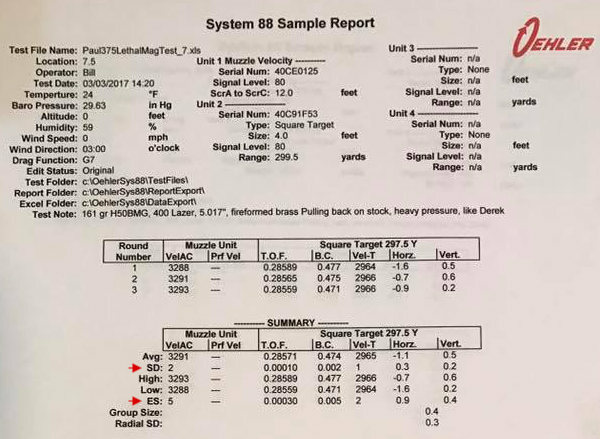 But you can’t have meaningful records without uniform, accepted standards. 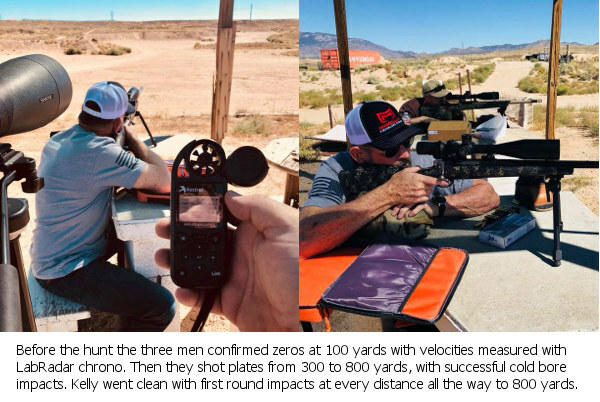 If you take 100 shots to hit a target at 3 miles, is that really a record — or just dumb luck? 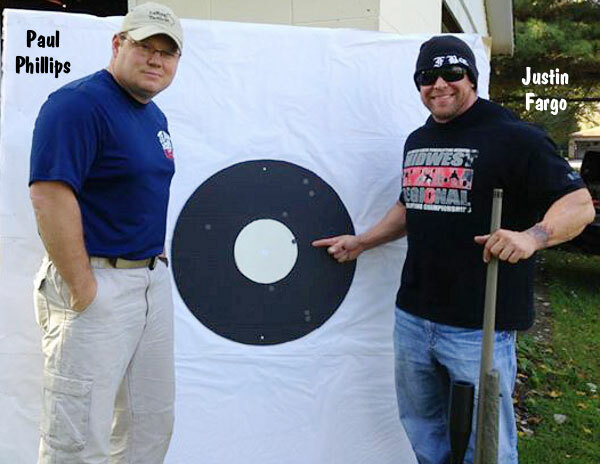 And if you hit the target just once after trying for hours — it that really worth bragging about? 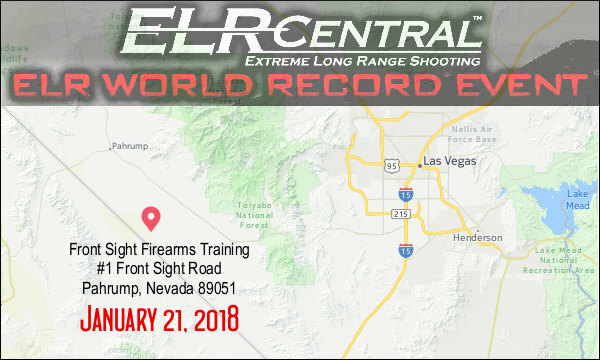 To help establish its new standards for ELR World Records, ELR Central will host a competitive ELR World Record Event on January 21, 2018 at the Front Sight Firearms Training Facility near Pahrump, Nevada. 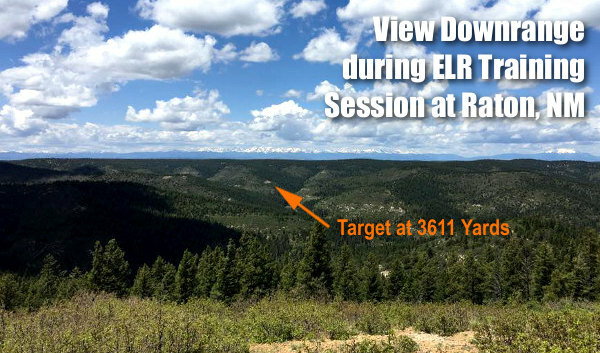 Next month, ELR Central will host its first-ever ELR World Record Event. 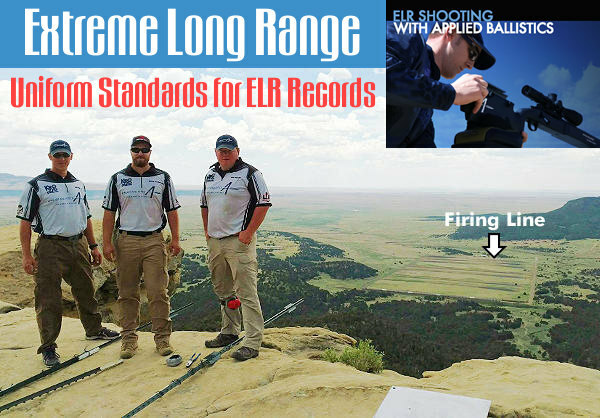 ELR shooters can showcase their skills in an organized, 3 for 3, on-the-record competition. 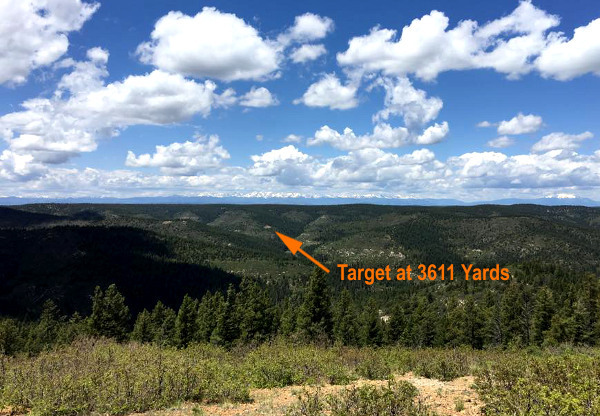 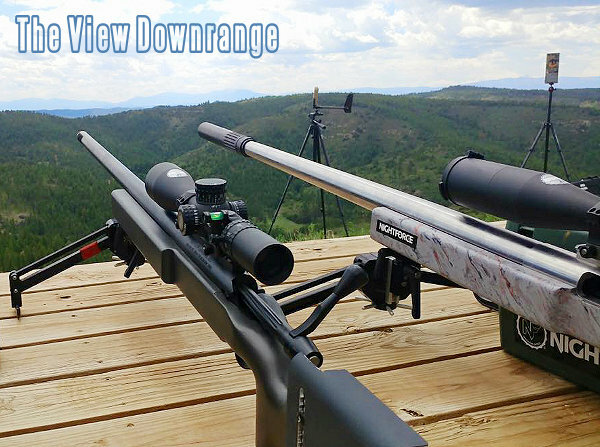 Targets will be placed from 1500 to 2500+ yards. 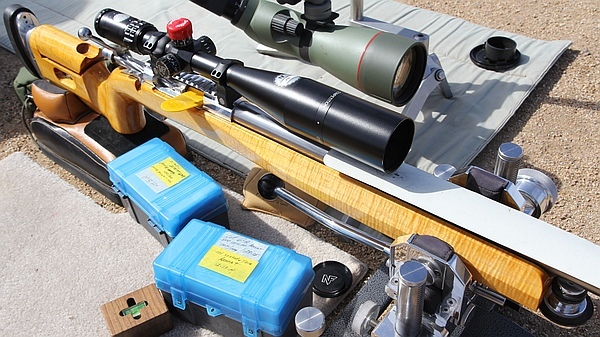 Shooters will have 3 shots, starting from a cold bore to attempt a World Record. 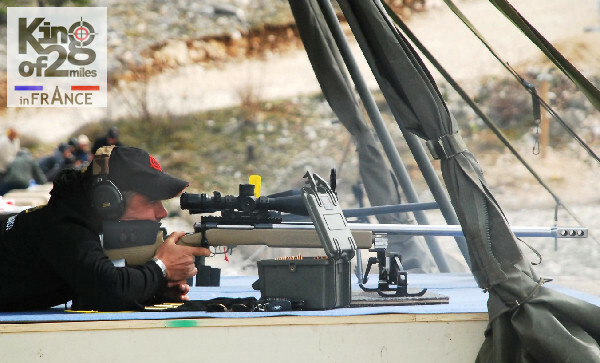 This event is open to the public, and free to spectators. 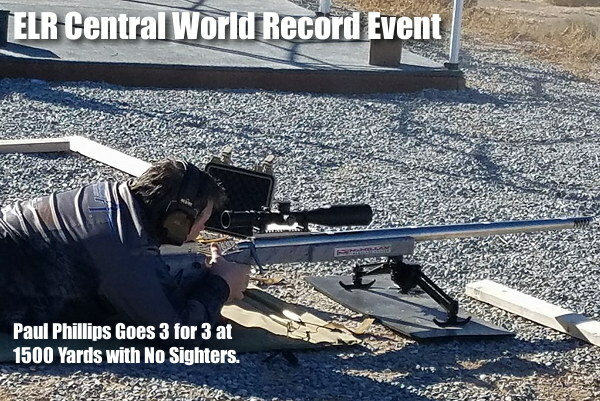 Registration is $50 per shooter. 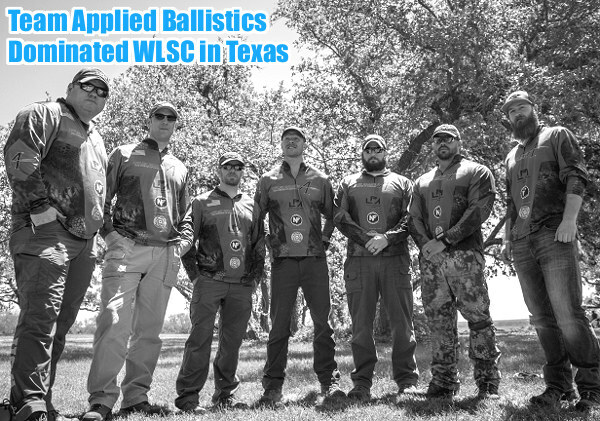 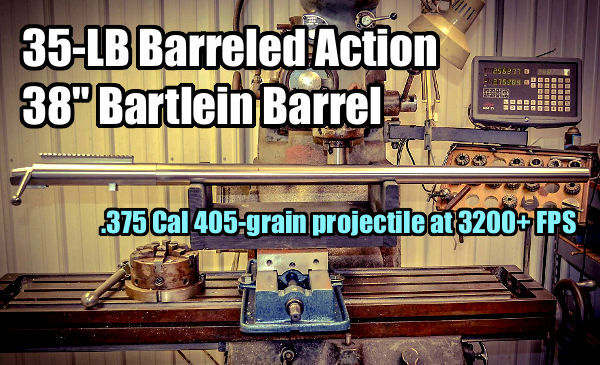 Contact Kathy.Barnhart [at] appliedballisticsllc.com for more information. 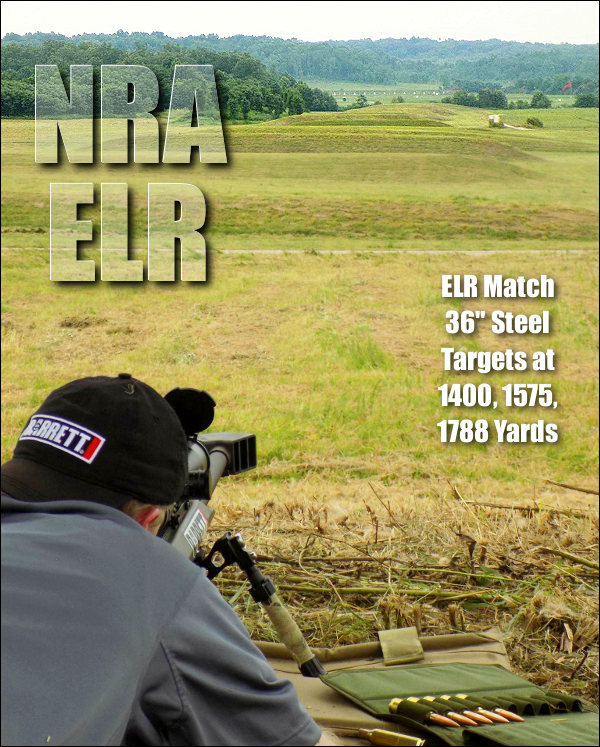 Paul Phillips’s latest ELR rifle, which boasts a 38″-long tube. 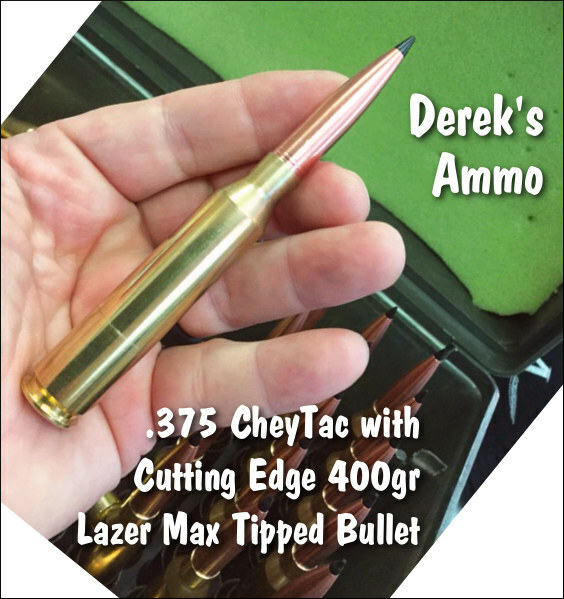 2017 K02M Event shooting a .375 Cheytac with 400gr Cutting Edge Bullets. 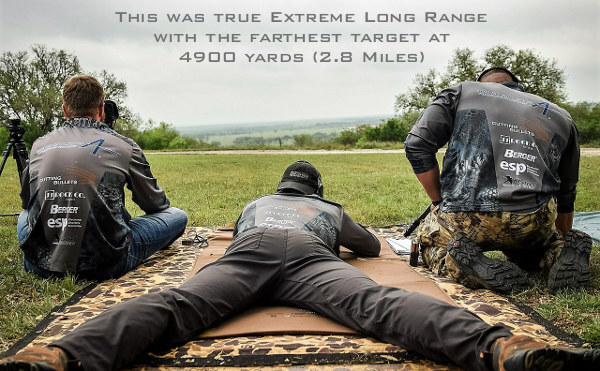 Share the post "ELR Central Establishes Extreme Long Range Record Standards"
Photos by Sheri Judd. 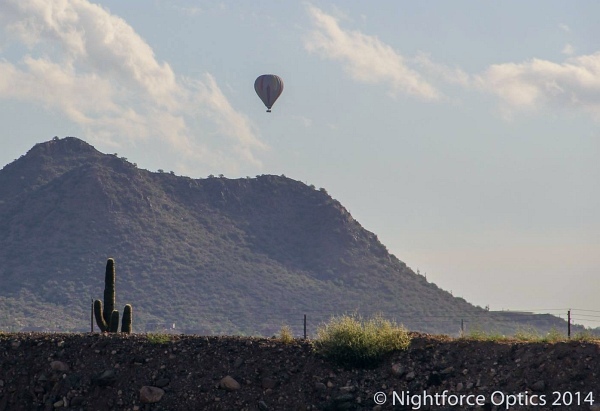 See more on Sheri’s Facebook Page. 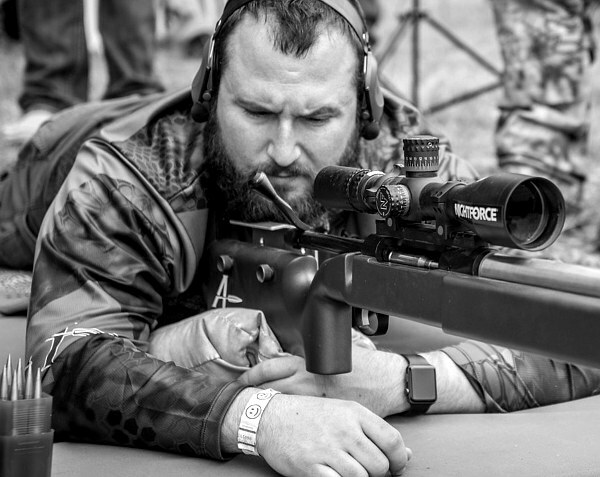 The first-ever NRA Extreme Long Range (ELR) Match took place this past week at Camp Atterbury in Indiana. 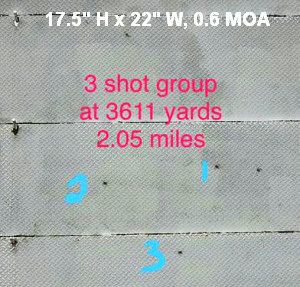 Also labeled the “One-Mile Match”, this inaugural event ran as a side-match between the NRA’s Mid Range and Long Range Championships at Atterbury. 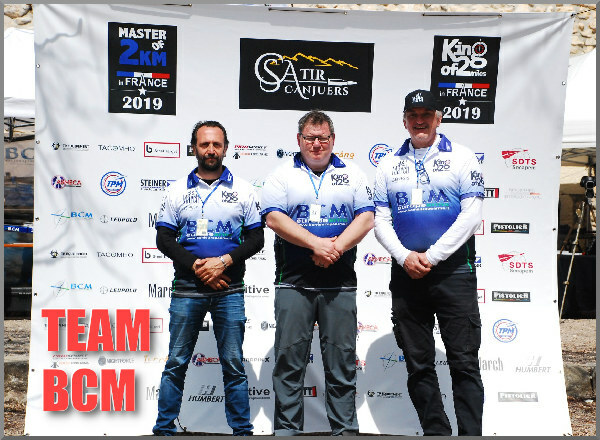 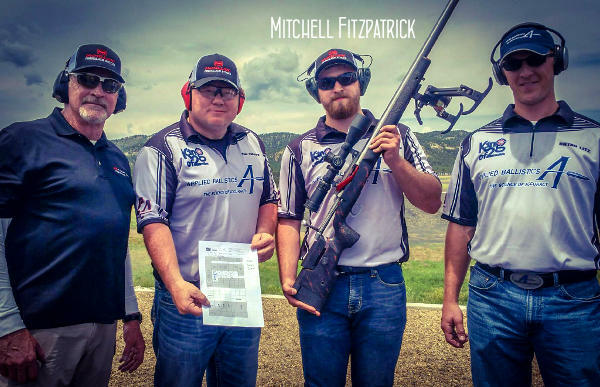 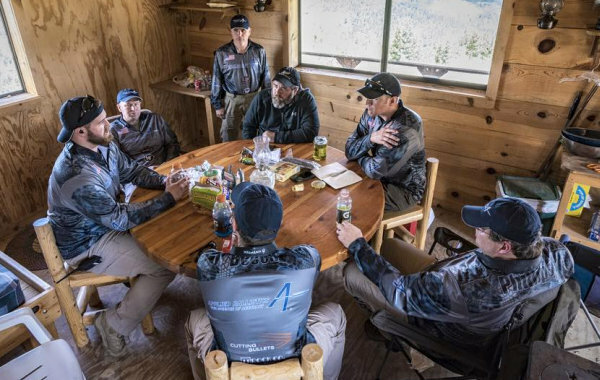 The event drew many of the nation’s top marksmen, including multi-time National High Power and LR Champion David Tubb, recent F-TR National Champion Bryan Litz, and 2016 KO2M winner Mitchell Fitzpatrick. 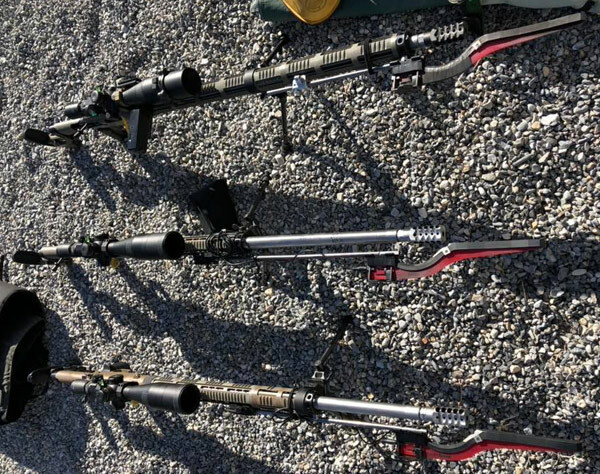 It was a tightly-fought match. 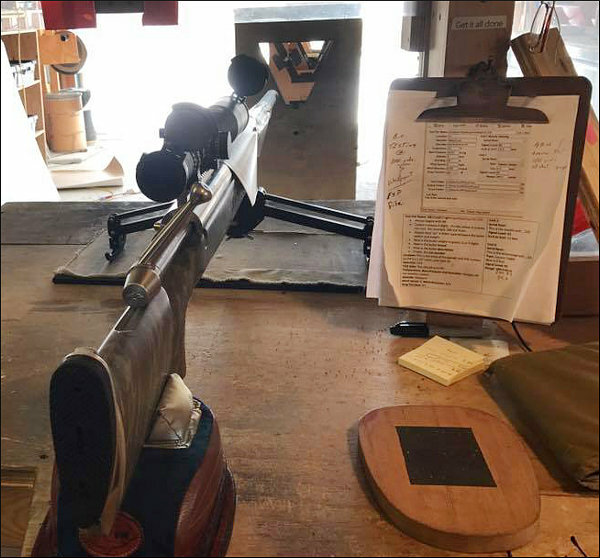 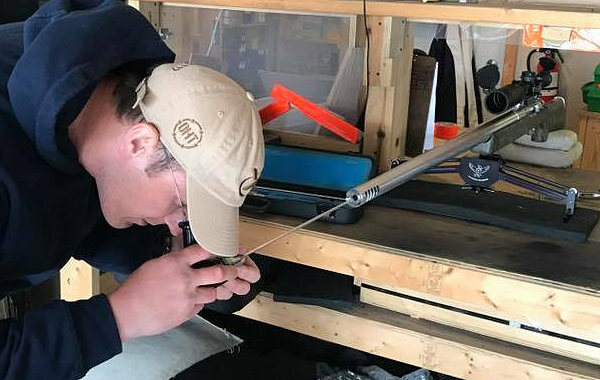 Showing exceptional skills (along with great rifles and ultra-accurate ammo), both Corbin Shell and Team Applied Ballistics’ Mitchell Fitzpatrick were perfect for 15 shots — making every shot at 1400, then 1575, and finally 1788 yards (1.016 miles). 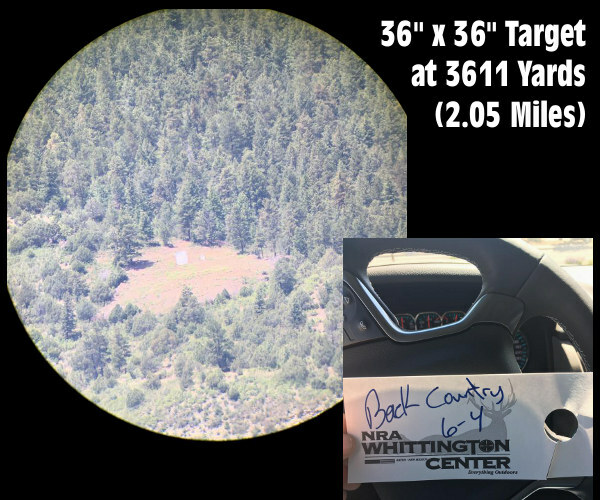 With the score tied, a 1000-yard target center (bullseye) was set on a target backer at 1988 yards (1.13 miles). 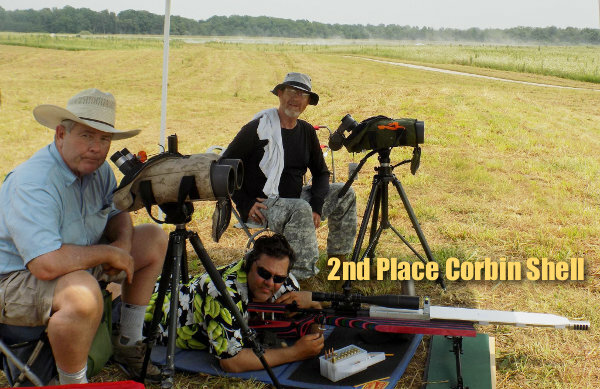 Mitchell hit the target, but sadly Corbin had his first miss of the match. 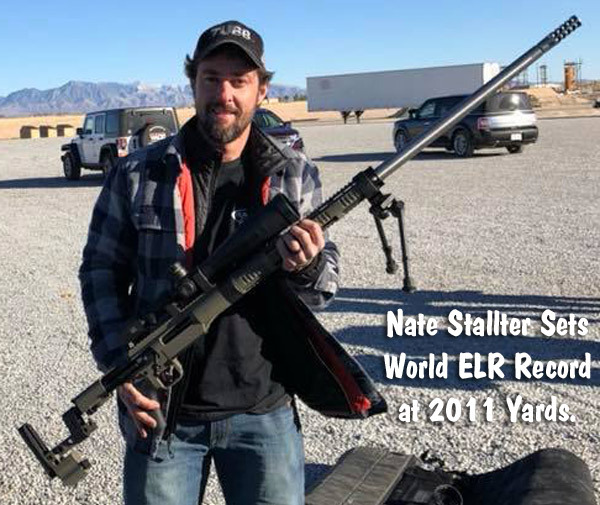 With that 1988-yard hit, Mitchell went down in the history books as the first-ever NRA ELR Champion. 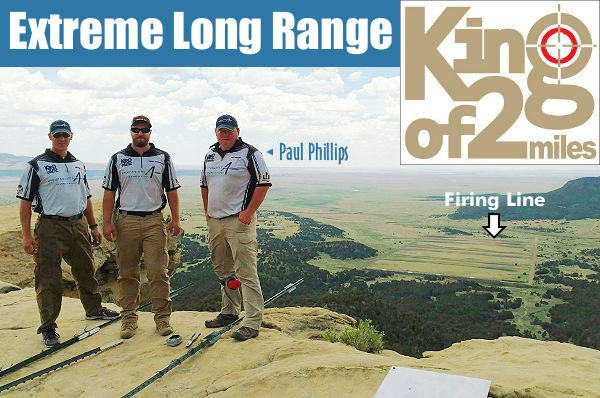 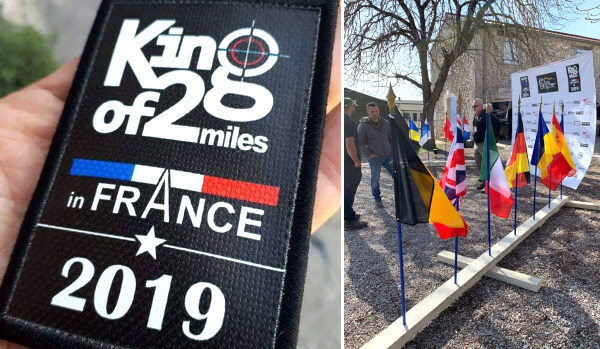 Winning at Extreme Long Range is nothing new for Mitchell, who was the winner of last year’s King of 2 Miles match in Raton, NM. 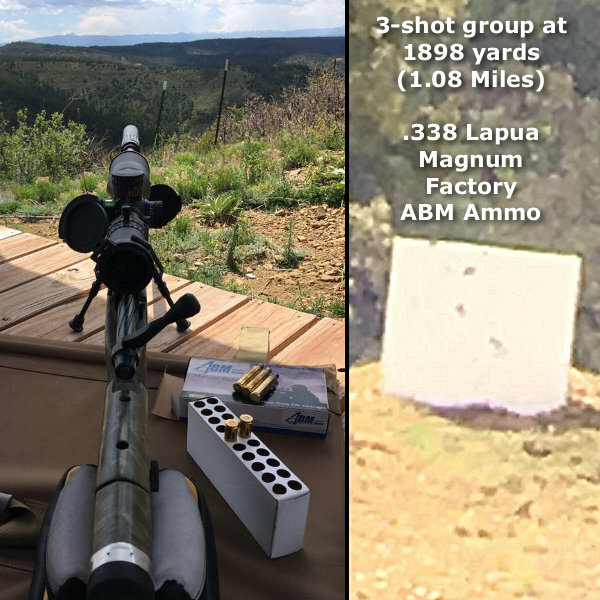 Runner-Up Corbin Shell was shooting his impressive .338 Lapua Magnum Improved barrel-block rifle, originally built for the KO2M event. 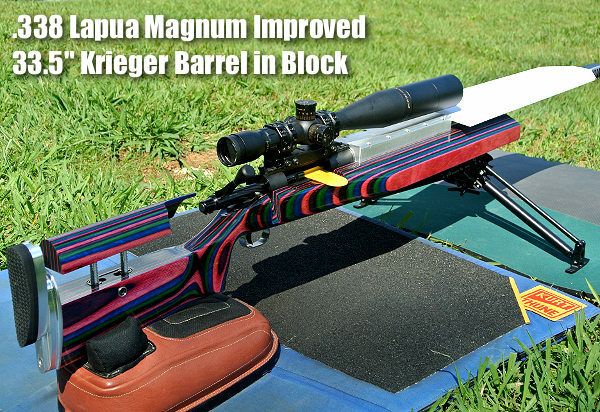 It performed superbly in Indiana. 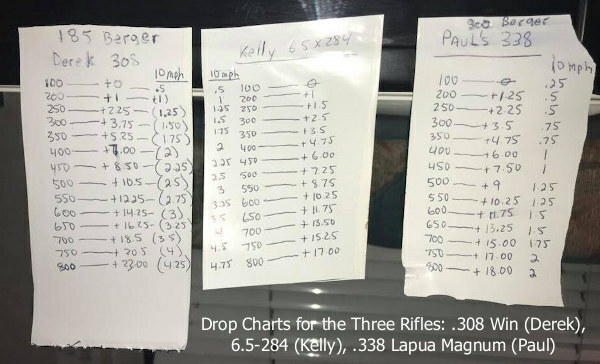 This rifle was showcased here on AccurateShooter last month. 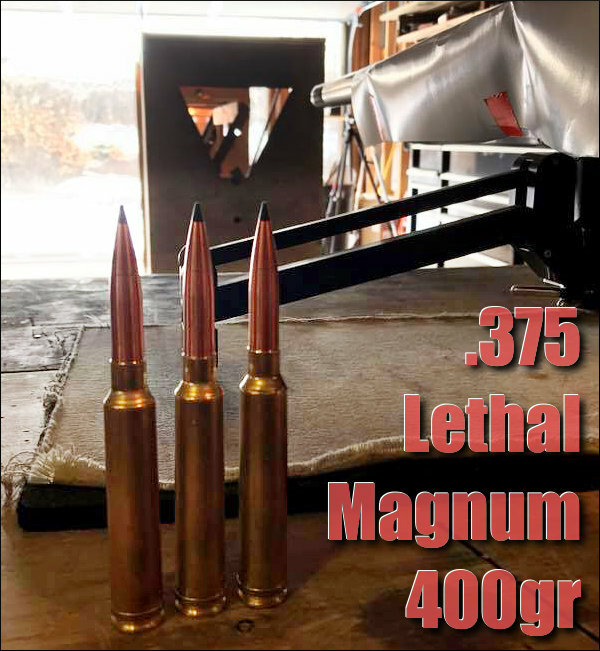 READ Corbin Shell .338 LM Story. 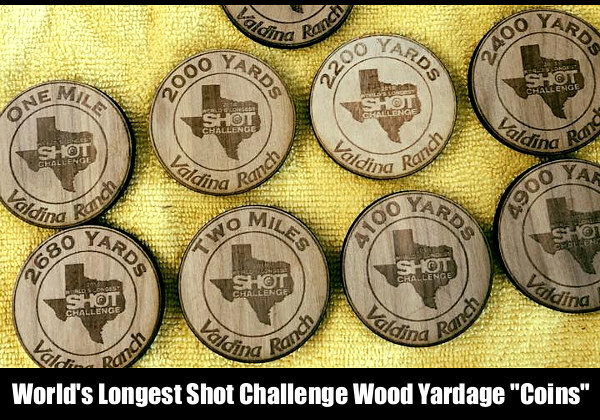 Confirming hits at extreme yardages is a challenge. 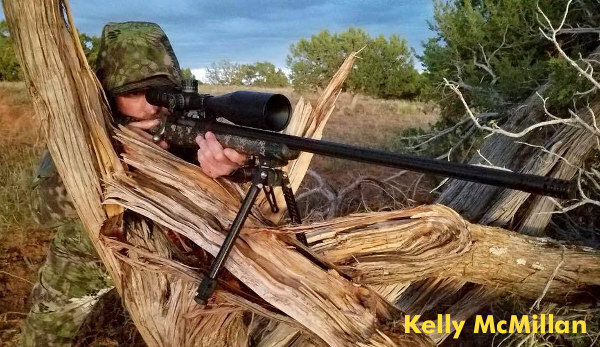 With a conventional spotting scope you can see a target swinging but it is very difficult to see actual impact at extreme ranges. 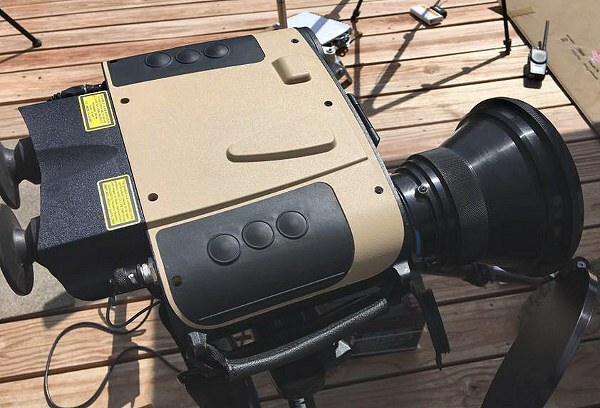 For this match, wireless remote TV cameras were placed near each of the targets down range. 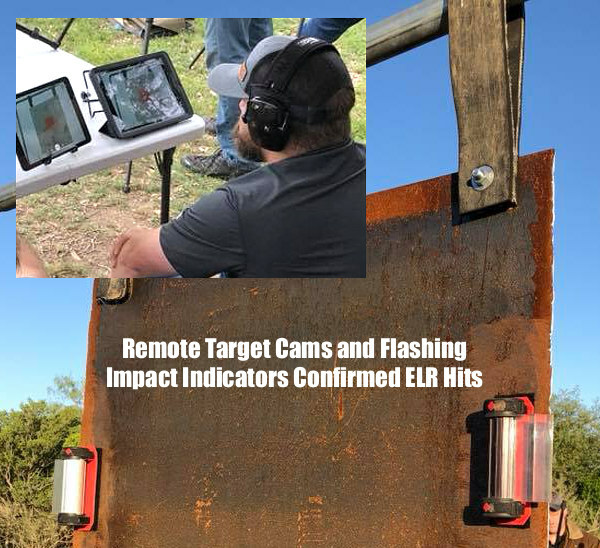 These fed video signals to monitors and tablet computers, allowing scorers to confirm hits on steel. 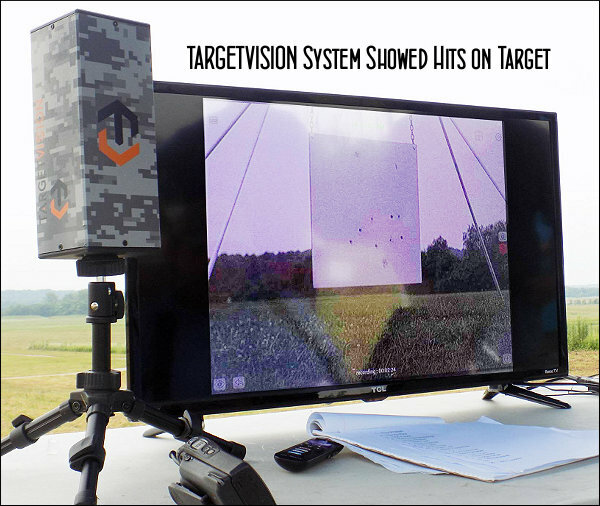 In addition to the Targetvision target cam systems, GSL Technology had a drone to get aerial footage and augment streaming video coverage on Facebook. 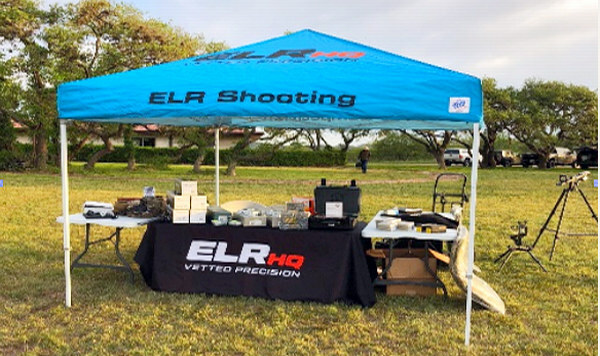 Sheri Judd, NRA ELR Match Manager, also captured some great still images of the event, including the images you see in this article. 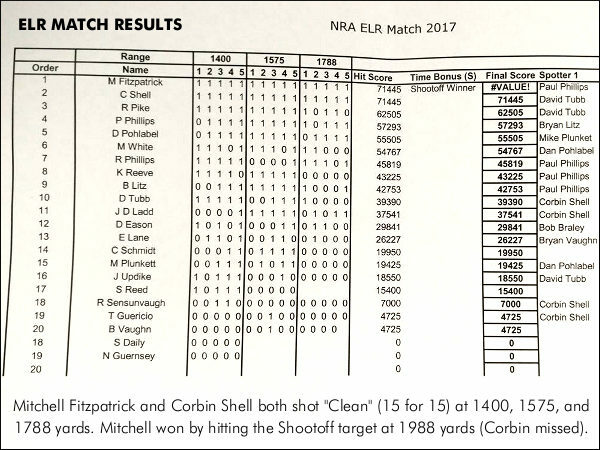 The NRA ELR match was a family affair for the Phillips clan. 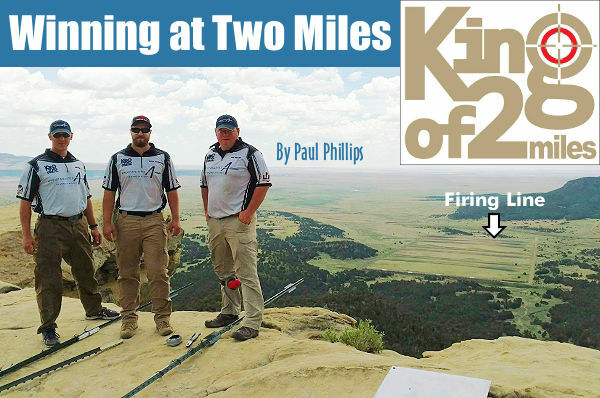 Paul Phillips shot with his father Rusty. 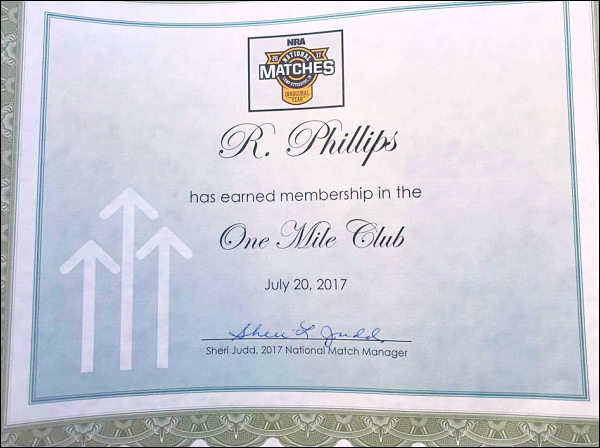 The elder Phillips, at the ripe young age of 80, had multiple hits at one mile, earning his official “One Mile Club Certificate”. 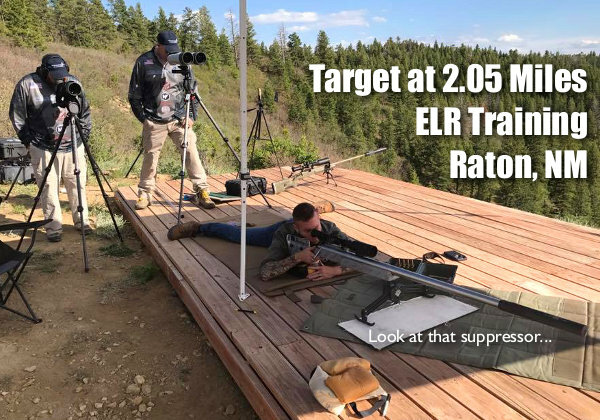 You can see Rusty shooting in the video below. 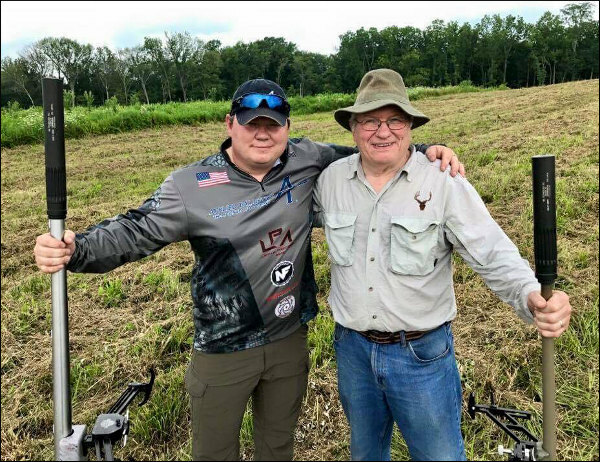 Paul says: “I had a great day shooting with my dad at the inaugural NRA ELR match. 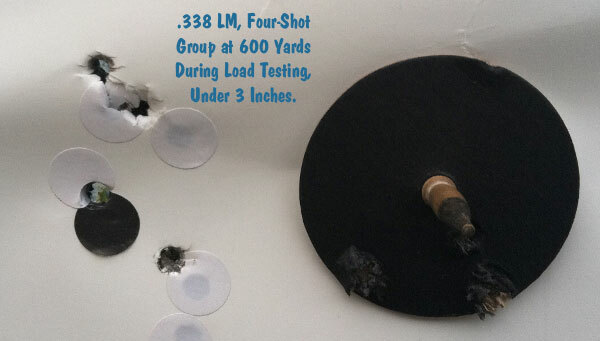 My dad went four for five at 1 mile (1788 yards) on a 36″ plate and earned his One Mile Club membership. 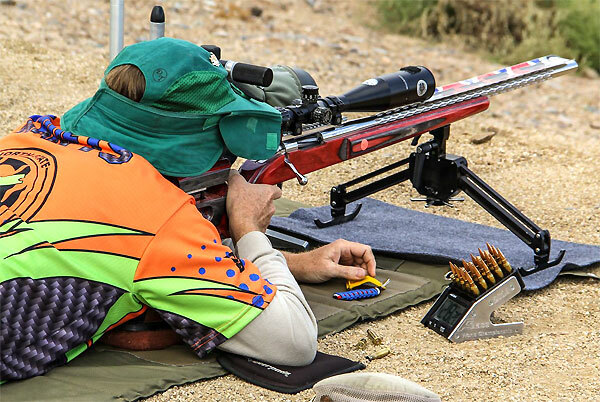 This was his first competitive match ever shot at 80 years old and he finished 7th overall! 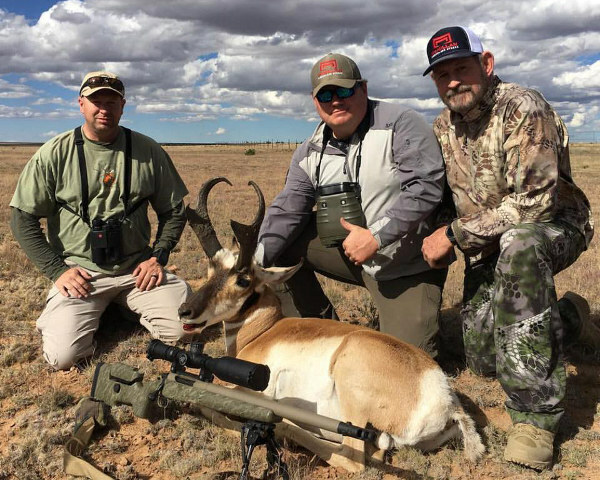 Bryan Litz and myself help keep him centered up.” Paul and his father Rusty used GSL .375 Lethal Mag Copperhead Suppressor and the .338 Lapua Copperhead. 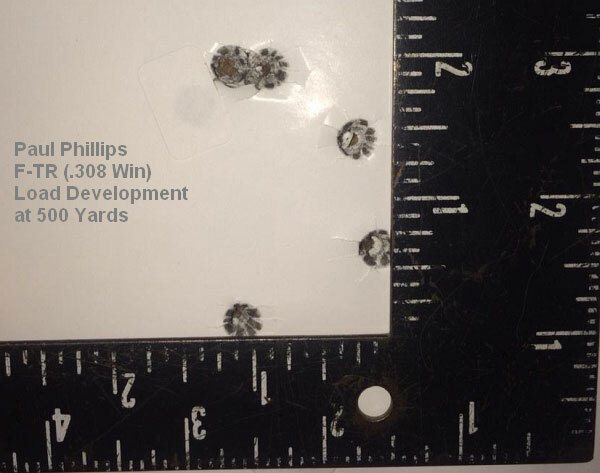 Rusty Phillips, at 80 years, shot 4 for 5 at 1788 yards (1.016 miles) to earn his One Mile Club Certificate. 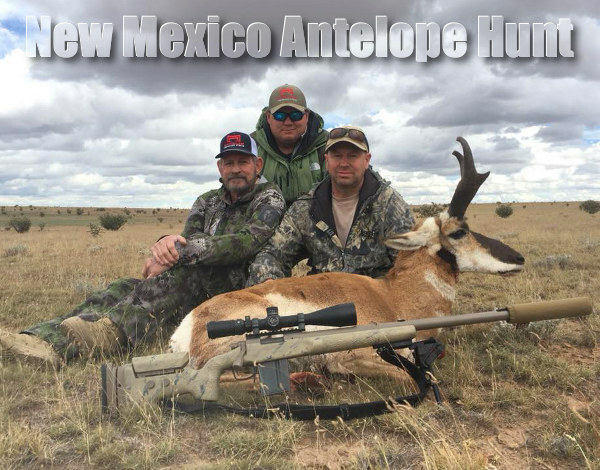 Congratulations Rusty! 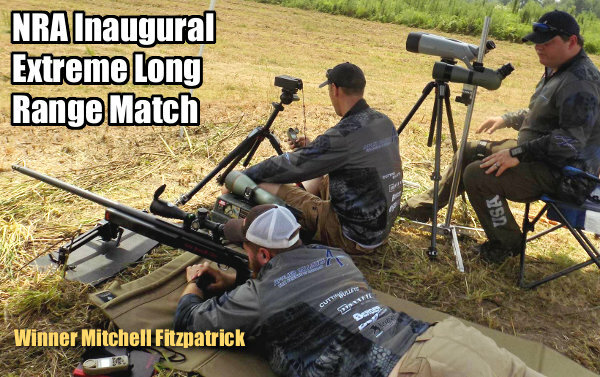 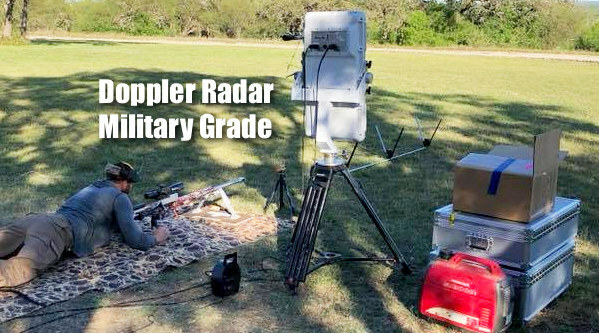 Share the post "First-Ever NRA Extreme Long Range One-Mile Match"